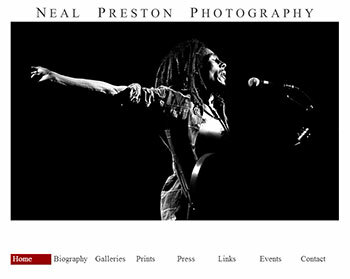 Neal Preston, the world's greatest live Rock photographer, chose Meteorsite to build his dynamic Flash photo gallery website. Contact us today to attain your Web Development and Search Engine Marketing goals. Email Us or call us toll-free at 1-888-265-6007.